On 12 April next, the Northern Ireland Catholic Council on Social Affairs, in collaboration with both the Bishops’ Council for Justice and Peace and the Laudato Si’ Working Group of the Council for Catechetics, are hosting a day on transforming our understanding of our faith with Laudato Si’. The day will run from 9.00am – 4.00pm and a light lunch will be provided. There is no fee for attending but attendees must register in advance with their local diocesan offices and the Council for Justice and Peace by emailing [email protected]. 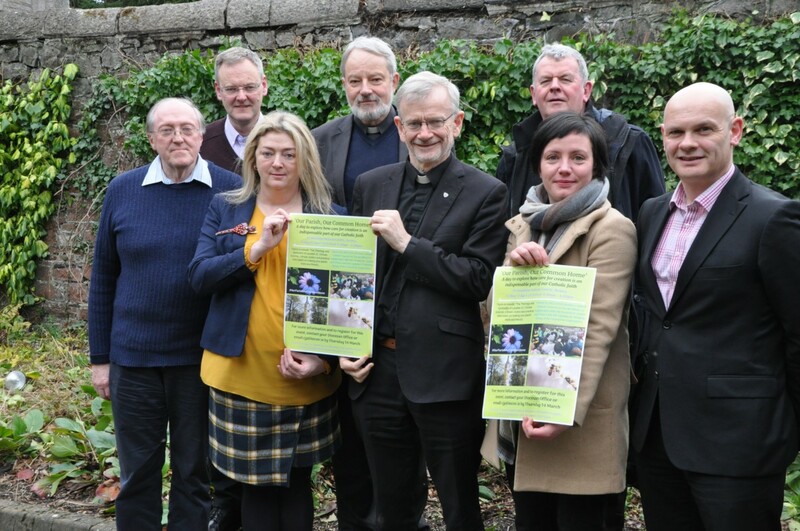 Pic caption: Members of the Bishops’ Council for Justice & Peace (Bishop Alan McGuckian SJ is the chair) promoting the upcoming ‘Our Parish, Our Common Home’ day.